Water heaters are one of the many innovations that technology has brought us to make our lives more comfortable. These electronic appliances, like any other, may have performance issues somewhere down the line. Hiring a repairman, or replacing the appliance, can be quite costly. Fortunately, troubleshooting them by yourself is not particularly challenging, if you know what you’re doing. Water heaters are typically of two types; gas, or electric. The main difference between these two types of heaters is simply their heat source; electric water heaters are heated by upper and lower electric heating elements, which are extended into the water tank itself. 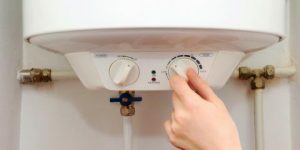 Gas water heaters do not have any heating elements in direct contact with the water; rather, a gas burner just below the water tank heats the water gradually. We’ll be investigating troubleshooting methods for both kinds. If your electric water heater is underperforming, or not performing properly at all, here are some troubleshooting steps you can take to determine, and try to fix, the problem. Before you start to troubleshoot, though, make sure you’ve turned the power off! If your electric water heater is producing no hot water at all, this is probably because it is not receiving any power, or else its heating elements may have failed. You should begin your troubleshooting by opening the service panel, and investigating your appliance’s circuit breaker; it may have simply tripped, in which case you should turn it back on again. Otherwise, if the heater’s breaker has not tripped, then you should turn the breaker off to avoid being electrocuted while investigating the cause of the problem. Now, remove the heater’s upper element’s access panel, and then proceed to remove the plastic safety guards and pull off the insulation. It’s important to avoid touching the wires, as they could potentially cause harm. Located above the upper thermostat, you’ll find a red reset button – press it, and then proceed to put back all the elements which you removed. Proceed to turn the circuit breaker back on. If the problem persists, investigate the individual heating elements to see if any of them are faulty. If you’re unable to fix your appliance, it may be time to call in a repairman. 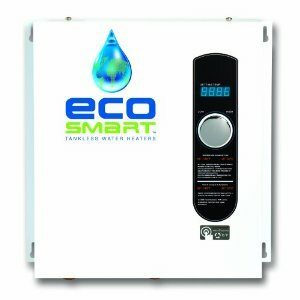 While water leaks are typically caused by faulty plumbing connections or leaking valves, electric water heaters can occasionally be held accountable for them. These leaks can cause significant damage to your household, especially to the walls, and should thus be taken care of the moment that they’re identified. If your electric water heater is indeed the cause of the water leaks, then this is probably due to a heating element becoming loose, or the tank being corroded over time. You should inspect each individual heating element, and if any of them are loose, use an element wrench to tighten them; confirm that there is no leakage anymore after doing so. 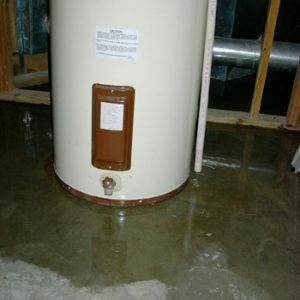 If, however, your water leaks are due to tank corrosion, then you’ll have to replace the tank altogether. Until you’re able to do this, you should turn off the tank and then drain it of water. This should prevent the leaking until you’re able to replace it. Sometimes, your supply of hot water may be at too great of a temperature for your liking – it may even be boiling hot and dangerous. This problem is typically caused due to one, or even both, of your thermostats being set at a very high temperature. To check your electric heater’s thermostat, follow the same precautionary procedure as mentioned for pressing the reset button; turn the power off, remove the access panel, safety guard and insulation, and also avoid touching any wires. Now, proceed to check the temperatures of the respective thermostats; they should both be at the same temperature. The recommended temperature for your heater is between 115F and 125F; use a flathead screwdriver to adjust both thermostats to the same temperature, within this range. Your gas water heater may give you problems similar to those that you’d expect from an electric water heater; the difference lies only in the cause of the issues. Here are some quick troubleshooting tips to follow if your gas water heater is giving you trouble. If your gas water heater isn’t producing hot water, this can be due to a number of reasons. First, you should start off simple and make sure that the heater is turned on. To inspect this, first dial the gas control knob to PILOT, so as to prevent the burner igniting while you investigate. Lift the metal cover located at the bottom of the water heater, and check to see if the burner is lit. If the burner is not lit, then put the cover back on and adjust the temperature to around 120 F. Now turn on a hot water faucet, and wait to see if the burner ignites. If it doesn’t ignite, leave the hot water faucet on and try adjusting the temperature setting on the dial until it does. If the problem persists, then it’s time to call a repairman. Another problem you may face from your gas water heater is not heating the water to a desired temperature. If your water temperature is too low, then adjust the heater’s thermostat dial to a higher setting. If the adjustment causes the flame to ignite, then leave the appliance on the set temperature, and check for hot water after about an hour. If, however, the flame doesn’t ignite, or your water doesn’t get any hotter, then you should check the pilot light. In the event that it’s off, read your appliance manufacturer’s guidelines for how to relight it. If you’re unable to follow the guidelines, or fix the temperature problem, then it’s best to seek professional help. There are many everyday problems that we may prefer to take help for to fix, rather than solve them on our own. However, learning to troubleshoot household problems, such as underperforming heaters, can both save you money and help you become more independent as a person. Hopefully, you’ll find these troubleshooting tips helpful the next time your water heater acts up.